Report reaching Legit.ng indicates that a 20-year-old lady and a young man with her have both been allegedly shot by police officers in Ajegunle area of Lagos. 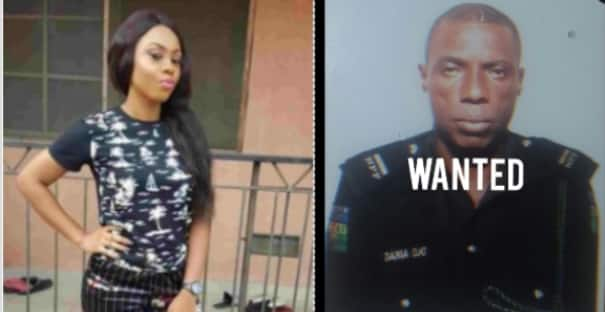 According to reports, the girl died identified as Ada Ifeanyi died as a result of the shooting, while the man, Emmanuel Akomafuwa, sustained grievous injuries and doctors are currently battling to save his life. The incident happened on Saturday, April 13, around 7am. In a tweet via his verified Twitter handle, Nigerian rapper and actor, Ruggedman @RuggedyBaba, alleged that �Men of the Nigerian Police Force have killed another innocent Nigerian youth. They killed a 20yr old girl in Ajegunle while the boy that was with her was also shot and is fighting for his life. "We demand the death sentence." In another tweet by VyralClips, it was alleged that operatives from the Trinity Police Station in Ajegunle were responsible. According to report, the commissioner of police has responded swiftly to the incident and made arrests of the officers involved in the shooting. This is coming few days after a young man identified as Kolade Johnson, was shot dead by Special Anti-Robbery Squad (SARS) operatives from the Lagos state police command on Sunday, March 31 while he was watching a football match between Liverpool and Tottenham. In reaction, President Muhammadu Buhari had described the incident as unfortunate. Legit.ng reports that the president, in a statement on Wednesday, April 3, by his spokesperson, Femi Adesina, acknowledged the genuine outrage regarding the activities of SARS. He reassured the public that swift actions have already been taken, adding that suspects were in custody and an orderly room trial was set to commence immediately, following which indicted officers would be prosecuted in court.